Children see building a tall tower. We see children learning to work together. Children see a corner to hide out in. Children see something new to explore. We see the development of fine motor skills for future writing. 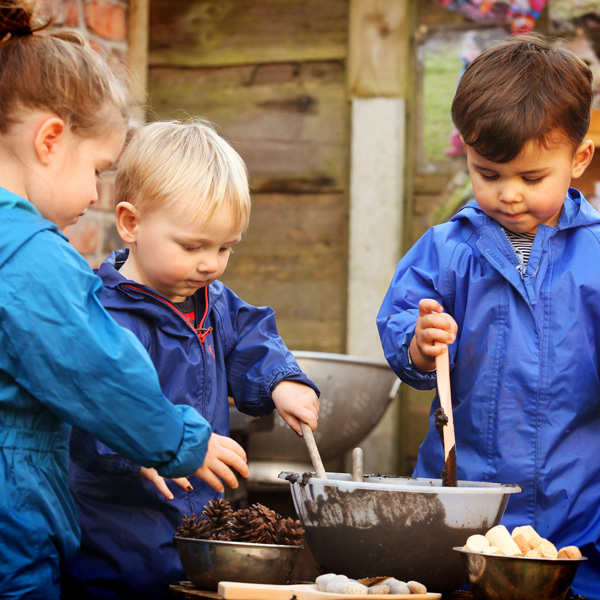 Children see a mud pie party. 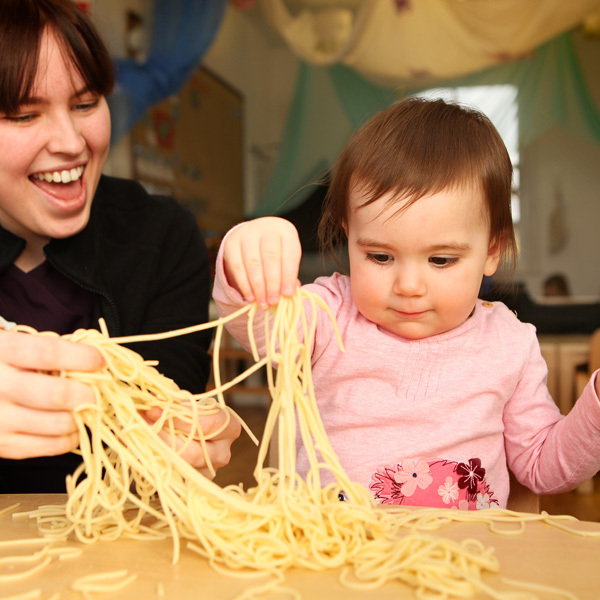 We see the development of creativity and social skills. 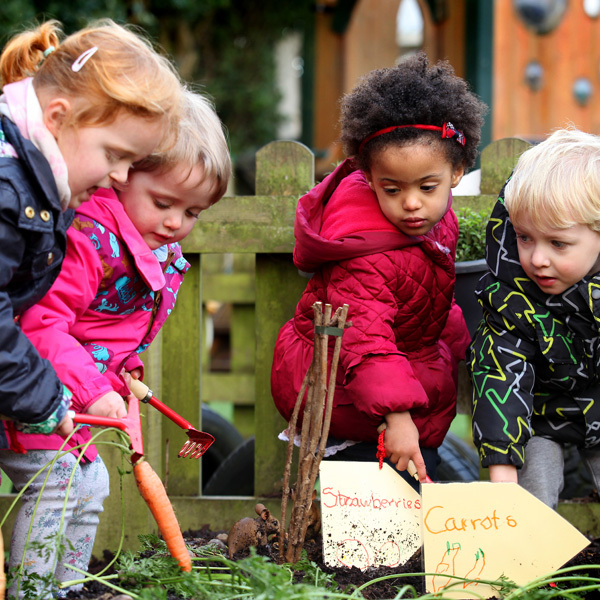 Children see seeds growing in our garden. We see children learning to make healthy food choices. 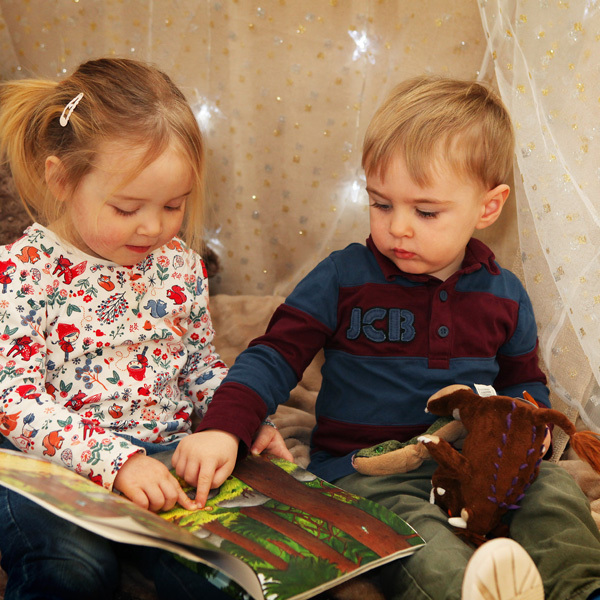 Across our Day Nurseries, our progressive, highly qualified practitioners and teachers are committed to offering children stimulating learning opportunities following the Early Years Foundation Stage which engages each individual child. We promote a healthy lifestyle in a safe, secure environment. 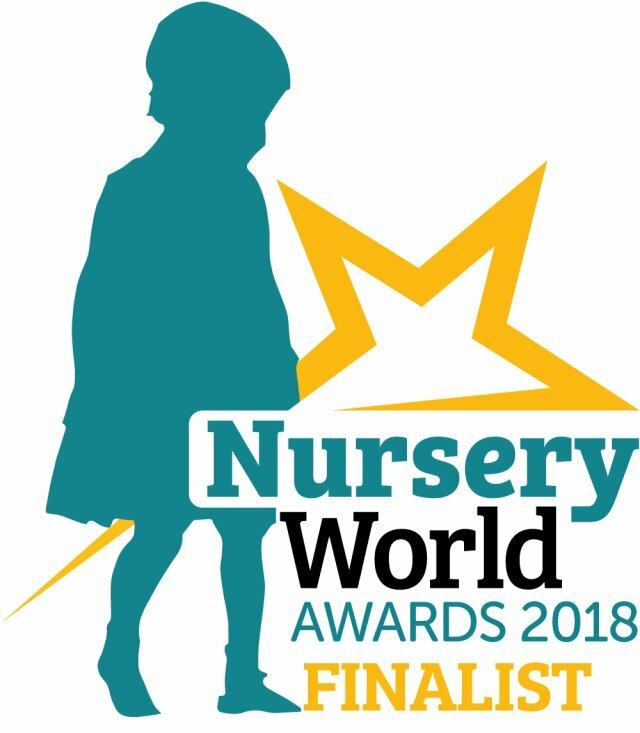 Each Nursery has a large purpose - built outdoor play space as well as award-winning indoor learning environments. Nutritionally balanced by a dietitian, our award-winning meals are cooked freshly on site every day. We teach children the skills they need to regulate their own behaviour and to assess risk for themselves. Our multi award-winning, reflective practice is delivered by knowledgeable and experienced practitioners led by committed Group owners who work on site every day. Continual investment, external quality assurance and ongoing development, along with our partnerships with parents, schools and the community, ensures we give each child a strong foundation for future learning. Each child is supported and valued; we respect differences, encouraging and enabling each unique child to reach their full potential in a welcoming, happy environment. 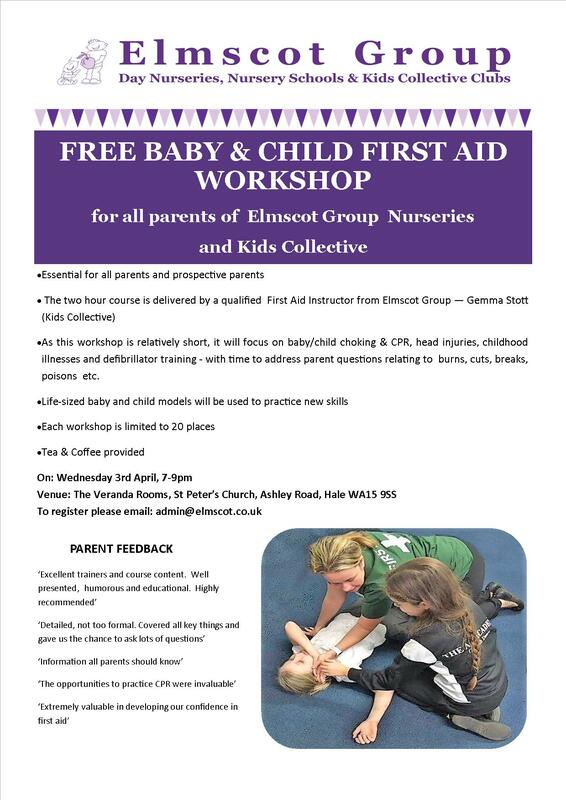 This workshop is delivered by our qualified First Aid Instructor from Elmscot Group, and will focus on baby/child choking & CPR, head injuries, childhood illnesses and defibrillator training. 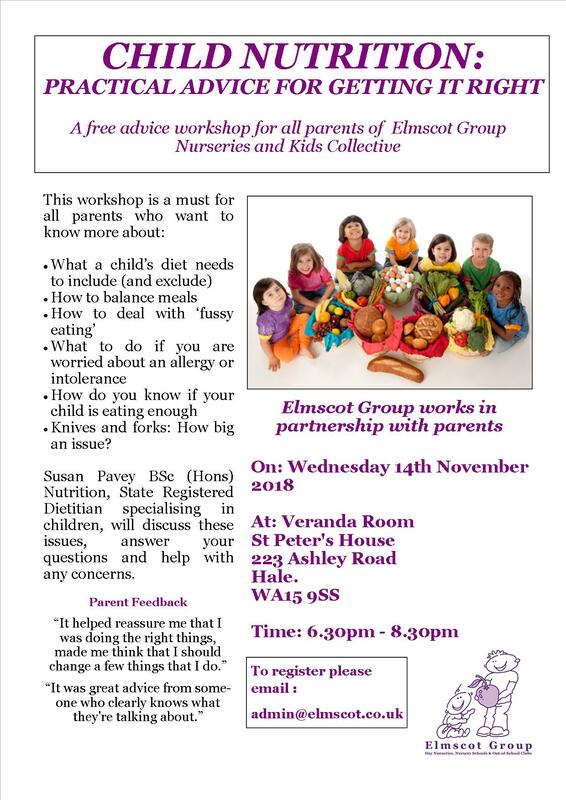 Practical advice for getting it right, Susan Pavey BSc (Hons) Nutrition, State Registered Dietitian specialising in children, will discuss these issues, answer your questions and help with any concerns. 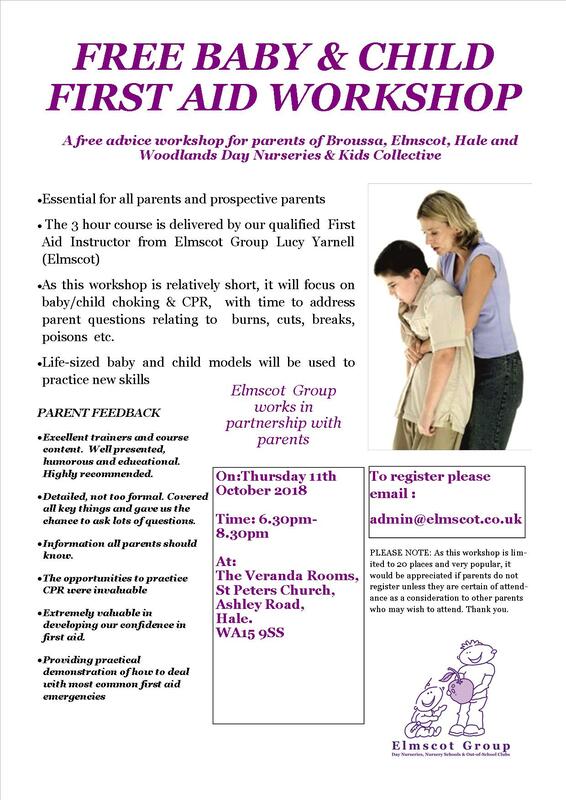 This workshop is delivered by our qualified First Aid Instructor from Elmscot Group, and will focus on baby/child choking and CPR. Children, parents and staff walk to the designated woodland site near to the meeting place. 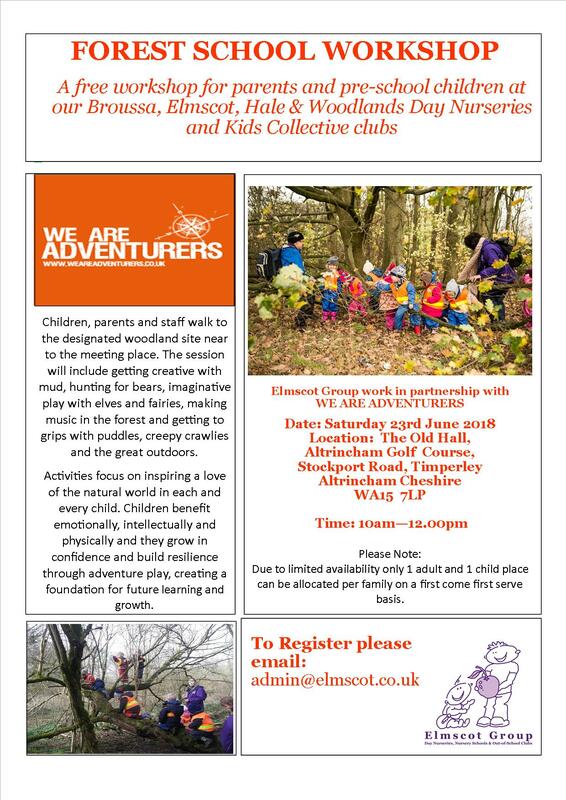 The session will include getting creative with mud, hunting for bears, imaginative play with elves and fairies, making music in the forest and getting to grips with puddles, creepy crawlies and the great outdoors. 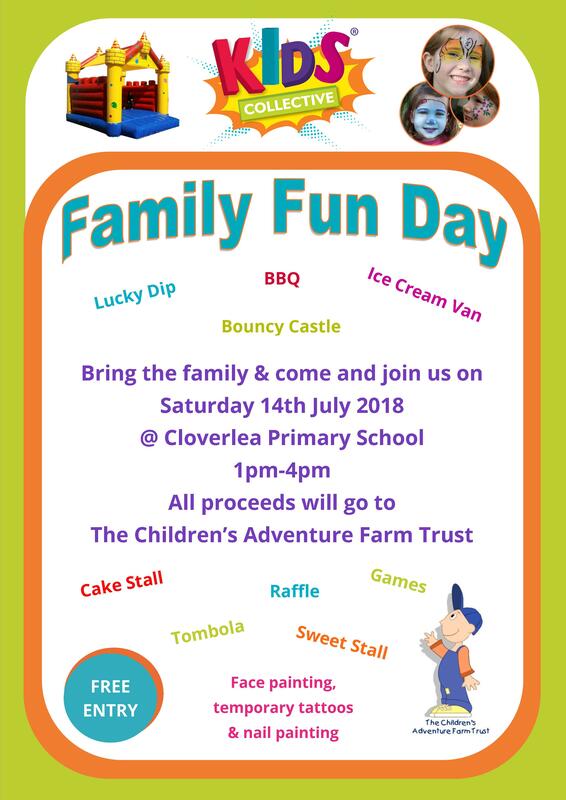 There will be lots going on including: a BBQ, ice cream van, tombola, face painting, nail painting, glitter eyes and temporary tattoo station, cake stall, bouncy castle and much more!